Should Elena Kagan be approved as a justice to serve on the Supreme Court of the United States? As it turns out there's a supremely simple method of testing her suitability. Once applied, citizens of any political persuasion will see that her nomination should be rejected outright. 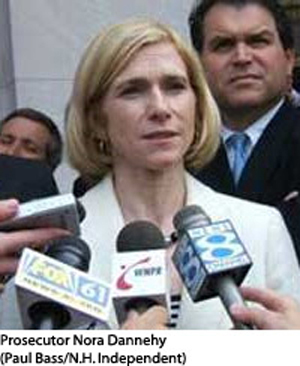 As Solicitor General of the United States, Kagan argued against an appeal to the Supreme Court by former Alabama Governor, Don Siegelman in November, 2009. 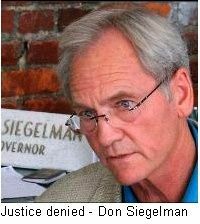 The Siegelman prosecution is viewed by many as one of the gravest injustices of the modern era, a purely political prosecution initiated by the Gonzales Justice Department. 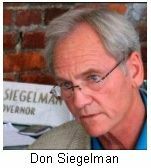 Forty four former state attorneys general were so concerned that they issued a public petition on Siegelman's behalf in 2007. The petition to the United States House of Representatives urged prompt investigation of the many shady dealings in the Siegelman case, before, during and after his trial. They framed their petition in this simple sentence: "The U.S. justice system should be above reproach." It wasn't. Seeking Minor Justice: Why Is Paul Minor in Jail? A recent email alerted me to the plight of Paul Minor, who currently sits in prison convicted on the esoteric criminal act of "honest services mail fraud." Apparently, Minor arranged to loan money to Oliver Diaz for his campaign for Justice of Mississippi Supreme Court. Minor, along with a Republican co-owner who was not prosecuted, also rented an apartment to Justice Diaz. Read more about Seeking Minor Justice: Why Is Paul Minor in Jail? A press conference held yesterday began zeroing in on the dirty trickster, Michael Connell, known to many ePluribus Media readers from the work that Luaptifer, Todd Johnston and many others did last year about the "line" that jumped the firewall. You may remember that Luaptifer uncovered evidence of crossing the line between simple "campaigning" and illegal activities. ... we've spent many months investigating the 'virtual real estate' and why the neighbors seem to look so much like each other. The researchers were tipped off, as it were, by a line, or to be more exact, an image of a line: ohgop_index_nline.gif. Just a quick pointer to two important snippets from a recent interview by the folks at VelvetRevolution.us with the former Governor of Alabama, Don Siegelman telling of his recommendations for how to deal with Karl Rove. Montgomery Independent......... I'm telling you.. stateline.org is the best site for news around our country. This story on Karl is a three page read...and, of course, the juicy stuff is towards the end!